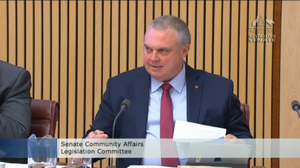 Australia’s National Health and Medical Research Council (NHMRC) answered questions from Greens, Centre Alliance and Labor senators at Senate Estimates budget hearings. Senator [Stirling] Griff asked if they would add experts in biomedical research to the ME and CFS advisory committee. Senator [Jordon] Steele-John asked if were appropriate concerning if a member of the panel thought that ME or CFS patients could be cured by aqua aerobics. Senator [Murray] Watt asked if the NHMRC will specify criteria or guidelines to be used in the studies it funds. Prof Anne Kelso, CEO of the NHMRC, was asked about how the Myalgic Encephalomyelitis and chronic fatigue syndrome advisory committee was selected, since nominations were not sought. She believes it is a good mix on the committee, after the NHMRC asked the advice of medical colleges and patient organisations. “We have formed an expert committee which is made up of people with a particular interest in this sort of issue and with the type of clinical and biomedical skills that are necessary to understand the type of clinical situation,” said Prof Kelso. When Senator Griff asked if the NHMRC would consider adding members with biomarker and molecular experience, given the importance of biomedical research and the limited experience of the committee, Prof Kelso said she would need to take the question on notice. He noted that on the USA’s equivalent committee, all members have biomedical research expertise. Prof Kelso said there were two experts, Prof Sonya Marshall-Gradisnik and Prof Andrew Lloyd with research experience, saying he has a ‘long term interest in the relationship between virus infections and chronic fatigue syndromes and is a clinical immunologist and would have a very good understanding of this area.’ While Lloyd has received much of the NHMRC’s funding for CFS research, he has said 90 percent of his work has nothing to do with CFS, it is mostly hepatitis C, and the work he does do on CFS is to rollout CBT and GET training despite the evidence against it. Senator Griff asked if they sought public expressions of interest for the committees. Prof Kelso said no, but it was possibility and certainly worth considering. Senator Watt asked, in writing, how the NHMRC planned to include the views of Australia’s leading scientists and clinicians. The NHMRC answered that they had an advisory committee of experts and referred him to the NHMRC’s website. He asked about making the process more transparent. Again the NHMRC referred him to the same page of their website.